Published on 30 April 2012. 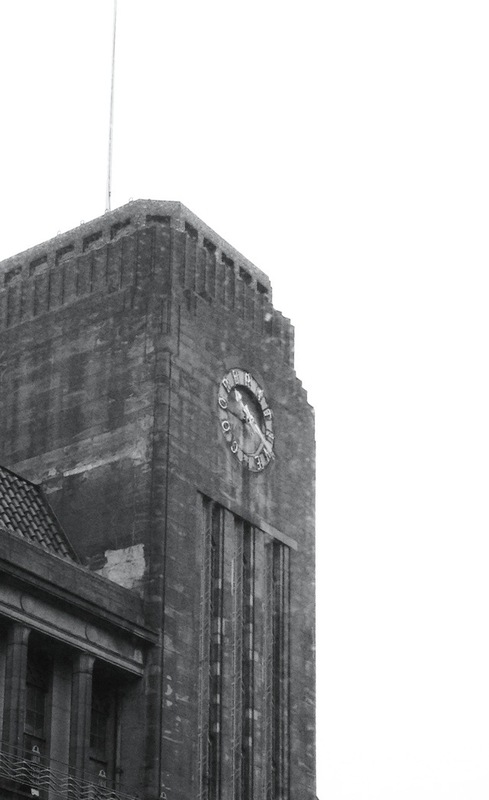 This is the North Tower of the former Co-op department store in Newcastle. It’s officially called Co-op House, and opened to the public in 1932. It closed in 2007, leaving just the food hall on the ground floor, which soon felt seriously unloved. It finally closed on New Year’s Eve 2011. The Grade II listed building is now to be transformed into a Travelodge, work which will include restoring the distinctive clock to working order. But some space on the ground floor will be occupied by a small Co-op shop, ensuring its continuing its presence in this historic building. This 1,629th post was filed under: Photo-a-day 2012, Newcastle-upon-Tyne, Retail.